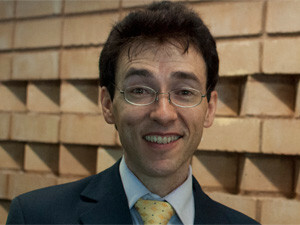 A holistic approach is required to break students out of the cycle of poverty, says Taddy Blecher of the Maharishi Institute. SAP SA on Tuesday announced it will issue 19.5% of its shares to a broad-based black economic empowerment (BBBEE) trust, which will use dividends to cover costs at the Maharishi Institute in Johannesburg. Trust beneficiaries will obtain business degrees from the Maharishi Institute as well as SAP software qualifications. "Today, we are going to redefine BBBEE," commented Lufuno Nevhuthalu, chairman of Blitec, a broad-based black IT organisation that owns 10.5% of SAP SA, referring to the multifaceted support beneficiaries will receive. In addition to education and SAP training, beneficiaries will gain from the Maharishi Institute's "learn and earn" policy, whereby they will gain work experience by consulting with SAP clients for four hours every day, explained Taddy Blecher, CEO at the Maharishi Institute. The Institute also teaches students "soft skills" for working with people, and stress management and psycho-social support, should they need it, he said. "It's the holistic support that makes [the Mararishi Institute's training] work," said Blecher. If you give [a needy student] only an education or only a low-level job, it doesn't always crack them out of the situation they're in," he continued. Brett Parker, MD at SAP Southern Africa, stressed the importance of securing jobs for students when they graduate, saying a guaranteed job motivates students to put more time and effort into their studies. The share donation shows long-term commitment to youth empowerment, said Blecher. "Every year as dividends are declared, it will open up opportunities for more and more young people," he explained.